Wall hugging style spacer saver. 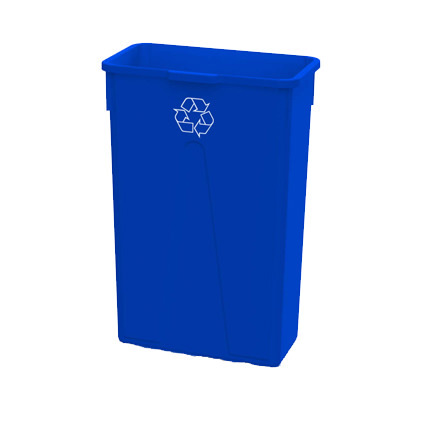 This 23gal Slim Recycle Bin is great for all types of events. Don't forget to recycle at your events!